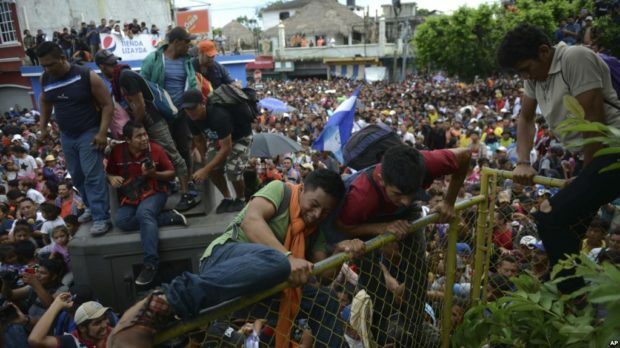 A group of migrants demanded that President Trump either let them into the country or pay them $50,000 each to go back to Central America. About 100 Central American migrants made the demand at the U.S. Consulate in Tijuana on Tuesday, also asking they be processed through the asylum system more quickly and in greater numbers, as well as for deportations be halted, according to the San Diego Union-Tribune. The newspaper reported Alfonso Guerrero Ulloa, of Honduras, told authorities they chose that number as a group.